The weather department has forecast overcast skies along with the likelihood of thunderstorm and dust storm with heat wave conditions at isolated places on Friday. The maximum and minimum temperatures were likely to hover around 40 and 20 degrees Celsius. Mercury maintained an upward trend with the maximum temperature recorded at 38.2 degrees Celsius in the national capital on Thursday, five notches above the season's average. The Safdarjung observatory, the recording of which is considered the official figure for the city, registered a maximum temperature of 38.2 degrees Celsius, while the minimum temperature also rose to settle at 18.7 degrees Celsius, normal for this time of the year, an India Meteorological Department (IMD) official said. 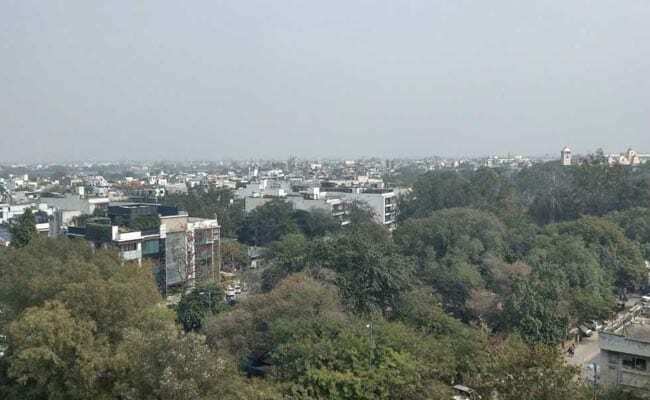 The Palam observatory recorded a maximum temperature of 40.4 degrees Celsius, while areas under Lodhi Road, Ridge and Ayanagar recorded a high of 38.4, 39.3 and 39 degrees Celsius respectively. The humidity level oscillated between 83 and 26 per cent. "The skies will be partly cloudy and there is a possibility of thunderstorm and dust storm on Friday. Heat wave conditions are likely at isolated pockets," the official said. Thunderstorm and dust storm were expected because of a feeble western disturbance currently lying over east Afghanistan and adjoining Pakistan and a cyclonic circulation over Rajasthan, BP Yadav, head of the IMD''s Regional Meteorological Centre, said. "There will also be an increase in humidity due to moisture coming from the Bay of Bengal side due to the prevailing easterly winds over Indo-Gangetic plains. This will be having an influence till April 6 and the maximum temperature is likely to fall from Saturday," he explained. The maximum and minimum temperatures were likely to hover around 40 and 20 degrees Celsius respectively on Friday, the weatherman said. On Wednesday, the maximum and minimum temperatures in the national capital had settled at 36.8 and 17.6 degrees Celsius respectively.